Only a few short years ago, DNA testing was an activity reserved for bio-hackers, specialist consultants and sci-fi movie plot lines. Now industry estimates suggest the number of people keen to unlock the secrets of their genome is on the rise, as more of us took genetic tests in 2017 than in all previous years combined. This isn’t surprising. For starters, there’s been a big shift in consumer interest in health and well-being, as well as an influx in different DNA and health testing companies entering the market. From those that tout the health benefits of sending off your spit in a tube through to those focused on the promise of unlocking the secrets of your ancestry, you now have many options. But despite the popularity of these tests, they’ve been called into question for inaccuracies, misleading information and privacy concerns over the past few years, with many asking how the data about our DNA is used and whether the testing methods are as watertight as these companies claim. So before you spit into a tube or prick your finger in the hope of uncovering something life-changing, let’s take a look at the DNA and health testing market, and find out what an expert has to say about whether all the hype is worth it. 23andMe updates your dashboard with new information based on your genetic results when supporting research becomes available. 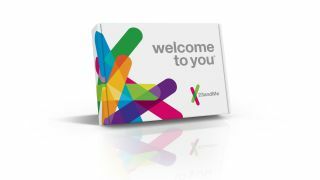 When it first launched in 2006, 23andMe was one of the first DNA testing kits aimed at consumers. Fast-forward to the present day and there are a lot of different options available now, including DNAFit, MyHeritage, and Ancestry.com, just to name a few. There are also another group of tests that tend to get lumped in with DNA tests, but that don’t actually analyse your DNA. Instead, they’re marketed as ‘health tests’ and boast similar offerings that can reveal things, like your cholesterol levels and liver function, by analysing your blood and microbiome. These include Thriva Health and Atlas. The Thriva kit is divided into 3 logical sections to help guide you through the sample collection process: prepare, sample and send. But whichever test you opt for, the process is similar. A sample of blood, spit or stool is sent away and tested. You can then access your results via an online dashboard a few weeks later. The results you get will depend on which test you opt for. For example, MyHeritage claims to “uncover your ethnic origins and find new relatives,” whereas 23andMe offers options to reveal health data or ancestry data or both. The option you choose will very much depend on what your aims are. Some people are motivated to find out more about their health, but increasingly it seems that finding out more about your ancestors and where they’re from is more likely to pique mainstream interest. But that’s not all. Now more and more of us are getting access to data about our genes, there’s a growth in third party websites that offer to reanalyse that data and serve up different results yet again. For example, you can get your DNA tested with 23andme, download the information and then upload it into a site like Promethease, which takes the information about you and provides further feedback, but with little oversight from as much regulation as the DNA tests themselves. This means the results might be more interesting, but there's less guarantee they're accurate. 23andMe serves up a user-friendly visual to explain your ancestry composition and where your distant relatives are likely to have come from. As you’d expect, delving into the depths of the science behind what makes you 'you' can unearth some fascinating and life-changing data. We spoke to Katy from London, who told us taking a DNA test enabled a relative of hers to find out the truth about their upbringing. “After getting my DNA results back from Ancestry.com, I was unexpectedly contacted by someone related to me. This person had been adopted as a baby and was searching for information about their biological family,” Katy told us. “I was the first fairly close blood relative they had found. We shared information, checked relatedness with other members of my family registered on Ancestry.com, and searched genealogical records until we were able to ascertain who their biological parents and siblings are. It was an emotional journey and I was honoured to be part of it,” she says. Katy’s story is one of thousands about relatives that have been connected for the first time via DNA testing results, but they can also lead to big health discoveries. Tests like 23andMe, are being used to allow people to look at their innate tendencies towards certain conditions, which can flag up the likelihood someone might go on to develop a condition like breast cancer early. Thriva serves up results about your vitamin levels and health in easy-to-understand graphs with definitions and next steps underneath. 23andMe data can be used in third party research if you consent, but your data is de-identified and shared in aggregate. There's no shortage of stories about the ancestor secrets that are uncovered and the health conditions that are revealed with DNA tests, but that doesn’t mean there aren’t discussions to be had about the accuracy of the results, what we can do with all of that data and where it might be used in the future. One of the biggest concerns is privacy. It doesn’t take much imagination to consider the negative implications of a company getting hold of information about your DNA, from insurance companies to advertisers. A report from Gizmodo delved deep into the privacy policies of some of the biggest names in DNA testing, which unearthed issues around who can access your data, what it’ll be used for and who may stake a claim on it in the future. Without any standardised testing, it’s also hard to know how accurate DNA tests are. This isn’t a problem if you’re looking to find out if it can guess your eye color or whether you like coriander, but for serious health concerns you may think you’re safe when you’re not. “The claims made by some companies about the genetic variants associated with appearance, diet and exercise have limited evidence to support them,” Newman says. The 23andMe dashboard shows you information about your reactions to certain food groups. The way the data is fed back is important and raises questions about whether this kind of DNA testing, which is often based on curiosity rather than symptoms, just leads to health anxiety about the results when they’re not combined with personalised care and information about what solid next steps could be. The Thriva health kit comes in a small box that you can receive through your letter box. Should you send your spit away for testing? There’s no denying that DNA tests are fascinating for individuals keen to find out about everything from their ancestry to their predisposition to serious health problems to indulgent information about their eye color and personal tastes.